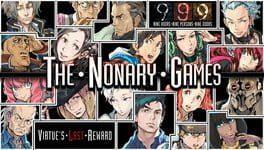 - Zero welcomes you to take part in both the Nonary Game and the Nonary Game: Ambidex Edition as the award-winning escape-the-room visual novels Nine Hours, Nine Persons, Nine Doors (999) and its sequel, Virtue’s Last Reward (VLR), are together for the first time. - The well-received classic Nintendo DS game 999 has been updated with hi-res graphics and a variety of new features including both Japanese and English voice acting! - Search for clues within numerous locked rooms and solve mind-bending puzzles in order to escape. VLR even has two difficulty settings for more of a challenge. - Fascinating theories and pseudo science ideas abound along the twisting, turning journey to uncover who Zero is, why everyone was kidnapped, and the shocking connection between the Nonary Games. Zero Escape: The Nonary Games is available from 22.19 to 41.99 from 1 shops.